This is the last novel off that mysterious list of thrillers that I can no longer locate, but that led me to some truly excellent reads. 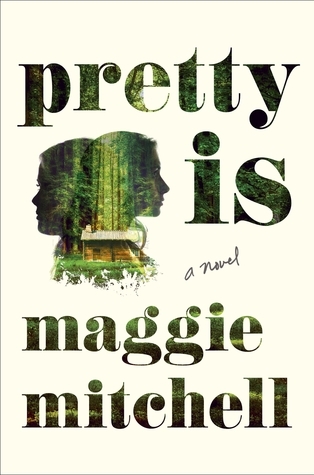 I expected a thriller of the same caliber going into "Pretty Is," but found something very...different. Lois and Carly Mae were kidnapped and held in a cabin in the woods when they were twelve years old. Now adults, they have each forged their own life & worked to put this piece of their past behind them. 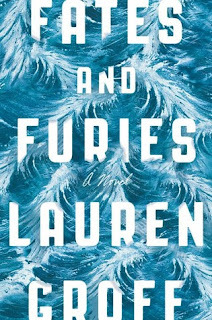 Lois is a successful professor who published a fictionalized account of her kidnapping that is now being made into a novel. Carly Mae, now Chloe, is an actress who hasn't quite made it, but will be starring in the movie of Lois's novel as the detective determined to find the two kidnapped girls. Confusing? Just a bit. Plus, there's a stalker-ish student who may be their kidnapper's son lurking around Lois's life. The novel gets a bit meta, but it doesn't seem to be intentional. Or at least, there doesn't seem to be a message within this book about a movie being made from a book written by a character about her own kidnapping, starring her fellow victim. The amount of layering struck me as bizarre since I couldn't find a thematic point to it. Maybe I missed it. But the novel isn't without its strong points. So many thrillers take you through the build-up, crime, and brief resolution. This novel picks up after the crime has already happened, and shows you how the victims are coping as adults. Lois and Carly Mae both try to distance themselves from their experience, while fostering a connection through the novel or film. They don't want to discuss their experience, but they can't discard it and fully move on either. The novel is about how they're coping, and that's not something thrillers typically provide. Finally, the audio narration was superb. Tavia Gilbert and Nicol Zanzarella each voice one of the female leads, and their voices are different enough that you can easily tell which character's point of view you're listening to at any given moment. It sounds like a small thing, but it makes a huge difference when you're listening intermittently. Verdict: Jury's Out. Don't be misled and go in expecting a typical thriller with shocking twists. The action-y parts were my least favorite, and I think the novel would have been stronger without them (and the stalker student entirely). But if you're interested in what happens after most thrillers end, this is worth checking out. "Pretty Is" by Maggie Mitchell, published July 7, 2015 by Henry Holt and Co. Audio narration by Tavia Filber and Nicol Zanzarella published July 7, 2015 by Blackstone Audio. I wasn't kidding when I said last week that I'd be heading straight to the next two books in Julianna Baggott's Pure Trilogy. I'm pleased to say Fuse was even better than the first. 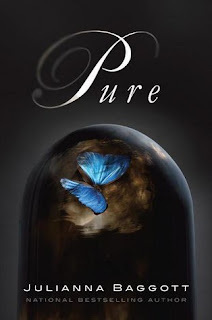 To avoid spoilers for "Pure," I'm going to skip the summary & go straight to what I liked. Mainly, El Capitan and Helmud. I talked in my first review about the compelling cast of characters Baggott creates with her rotating points of view. While all characters get significant development and adequate time in the spotlight, for me this book was all about Capitan and his fused-to-his-back brother Helmud. The romances from the first book are still here, and play a much larger role. They no longer feel shoehorned and forced - if you read this without the first, you'd just assume these are real, fully-developed relationships. It's only because I remember their shaky foundations from the first novel that I'm still meh on them. But Cap's relationship with his brother is real. The stress, obligation, guilt, pride, and love that he feels are well-drawn and deeply explored. I could connect with him and understand the difficulties he faces and the guilt he feels for the resentment they cause. His romantic feelings felt similarly well-developed. They weren't rushed into the first book, so his gradual discovery of them felt organic and earned. This installment packs more puzzles and allusions as some of the characters head back to the Dome and others continue their search from the first book. This was an excellent second book, and I'm glad I can go straight on to the third! Verdict: Affirmed. 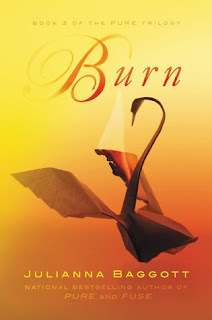 One of my few five-starred books on Goodreads this year. 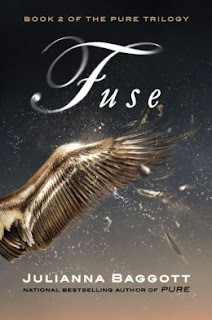 "Fuse" by Julianna Baggott, published February 19, 2013 by Grand Central Publishing. Audio narration by Khristine Hvam, Casey Holloway, Kevin T. Collins, and Pierce Cravens, published February 19, 2013 by Hachette Audio.